Thanks in no small part to some silly woman who is leaving dog biscuits and other tempting treats in the lane that runs outside our house, a fox braved coming into our garden the other night. It managed to get into the smaller A-frame hen house, and kill the two hens in there. So I hope dog-biscuit woman is pleased with herself. Anyway, we’ve just had three new chucks delivered (honestly – there are three, just the other one went straight into the house before I could take her photo!) – and the hen house has a new catch which will hopefully foil Mr Fox if he returns. 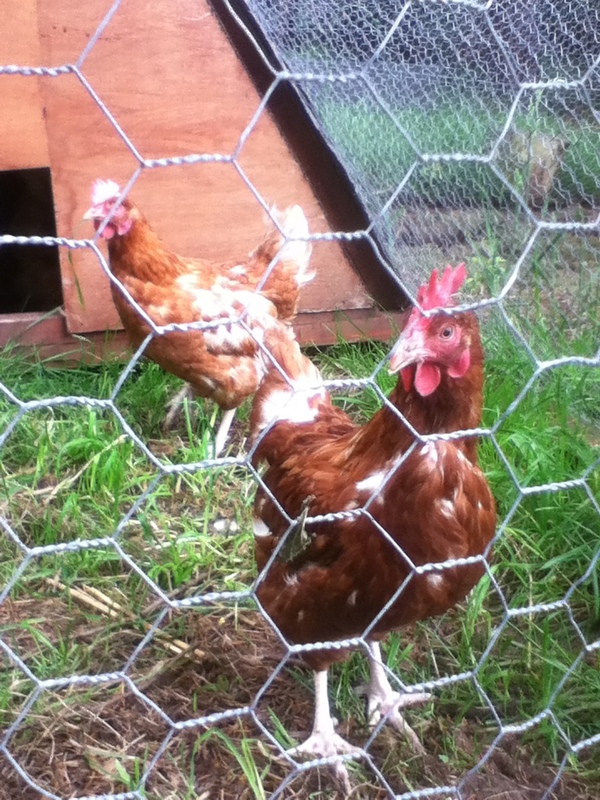 Let’s hope these hens have a long and happy fox-free life!